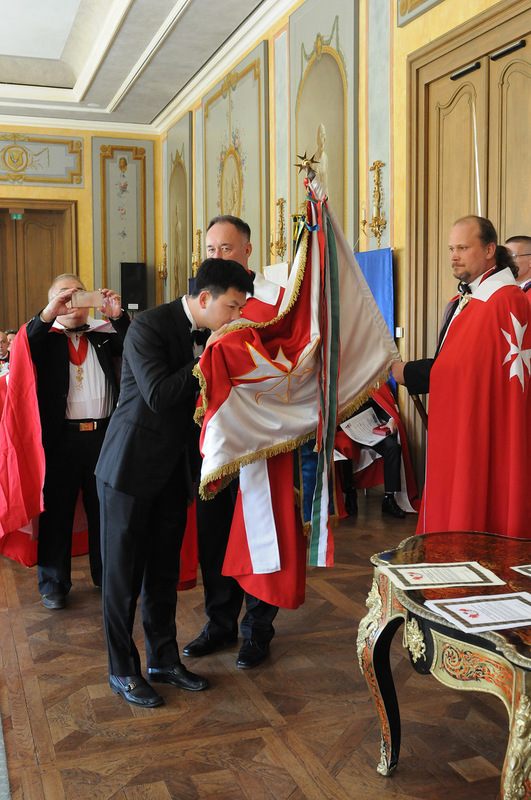 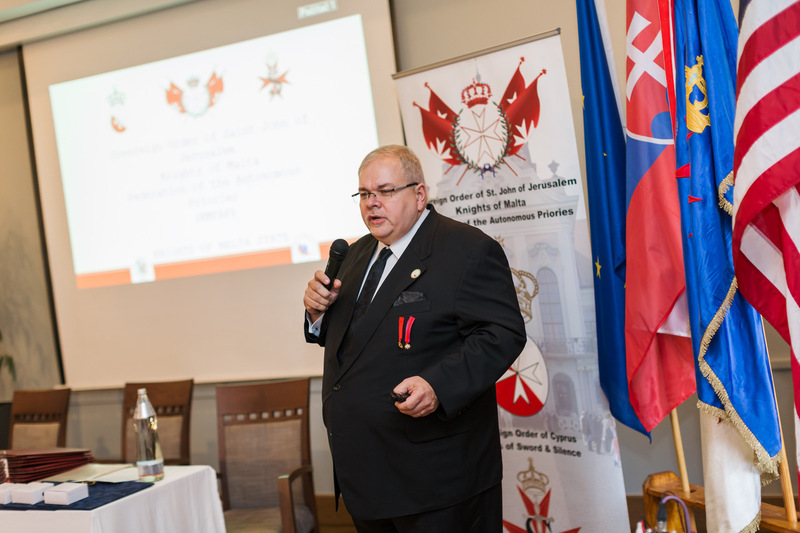 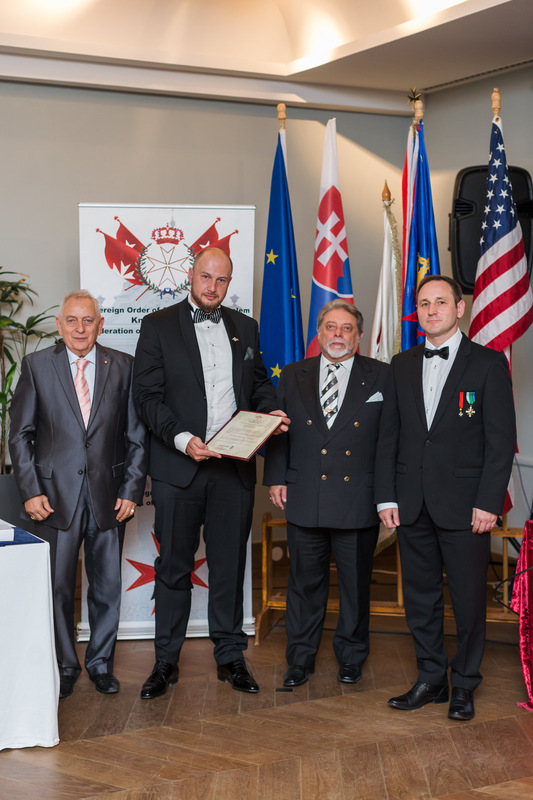 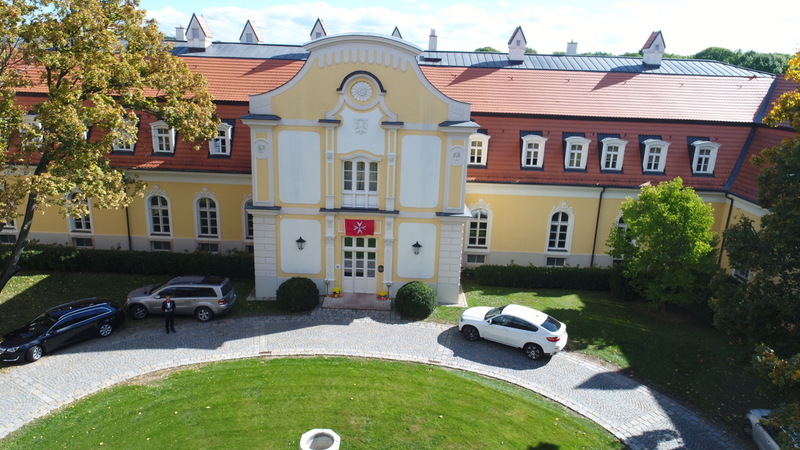 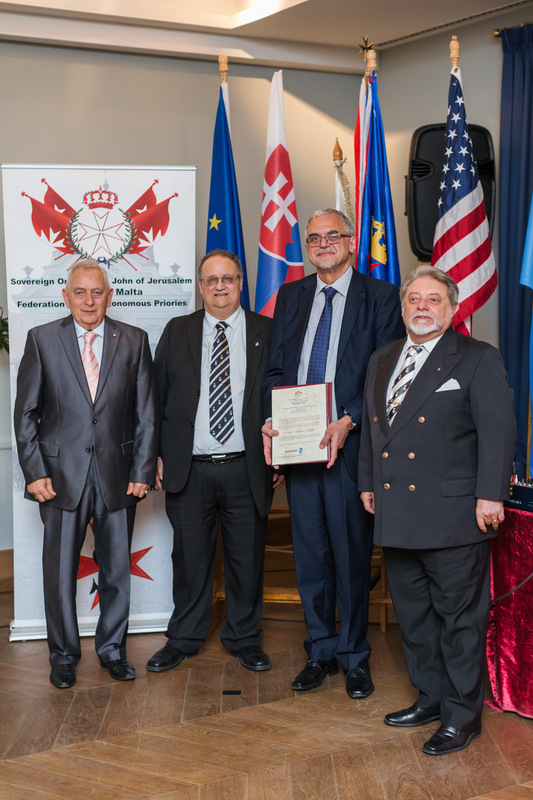 Between the 6-7 October 2017 a solemn investiture of the Sovereign Order of Saint John of Jerusalem, Knights of Malta, Federation of the Autonomous Priories (KMFAP) was held in the beautiful Château Belá, in Slovakia, co-organised by the Hungarian and the Slovak Grand Priories. 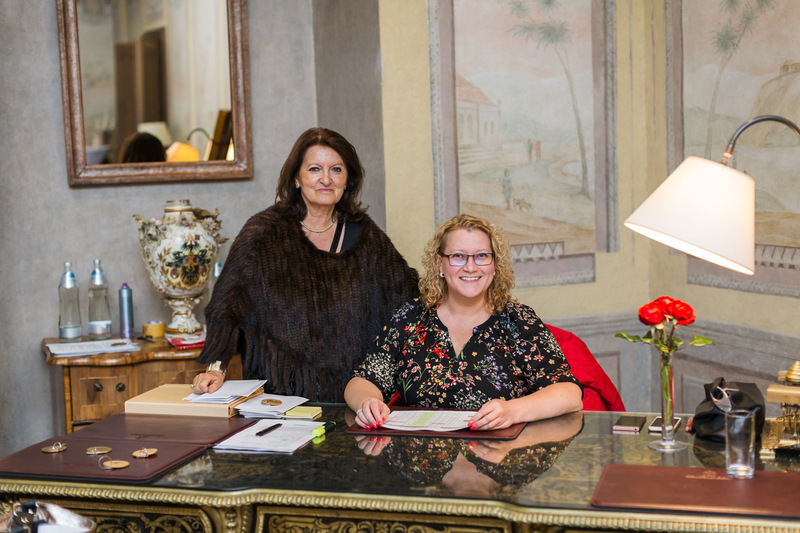 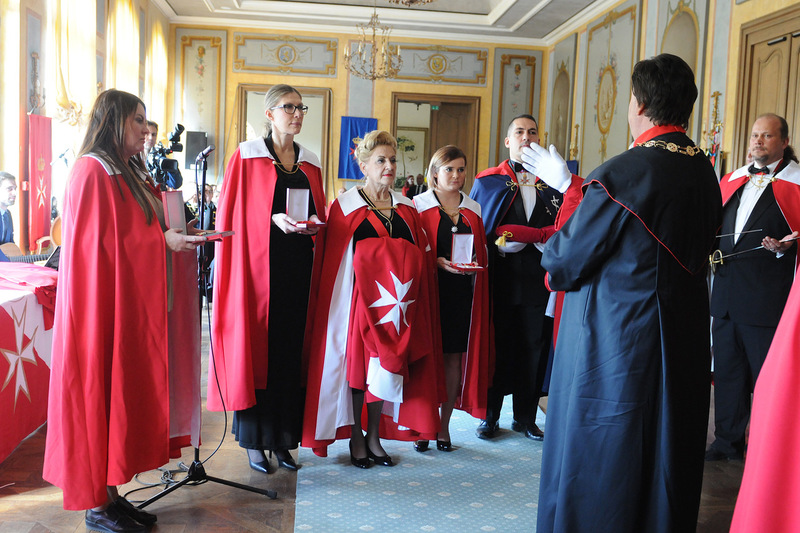 It was the 13th time, that the Order had its knighting ceremony in the “Most Romantic Chateau of Europe” (2013) attended by postulants and guests coming from 23 countries of 4 continents (Slovakia, Hungary, Portugal, USA, Angola, Malta, Czech Republic, Turkey, New Zealand, Germany, Macedonia, Latvia, Austria, Serbia, Hong Kong, Singapore, Cambodia, Vietnam, France, Croatia, Sierra Leone, Montenegro, Sao Tome and Principe). 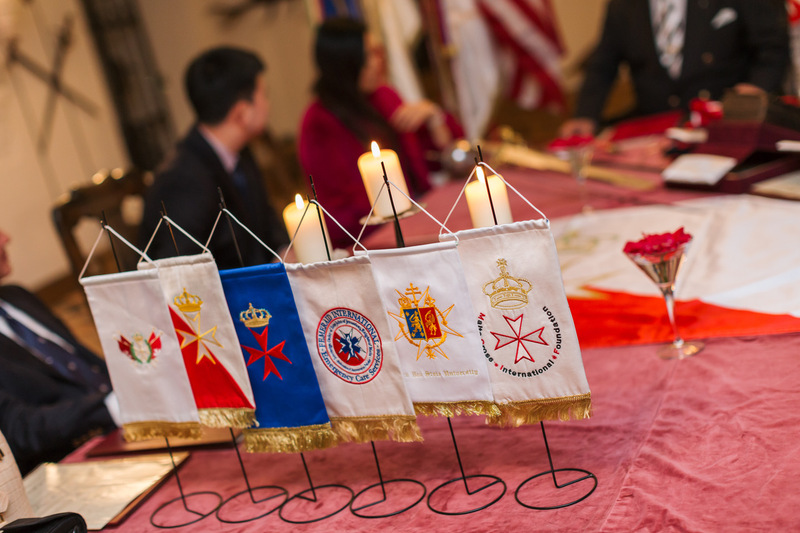 According to the international nature of the event the 9 Maltese Postulants represented 11 countries. 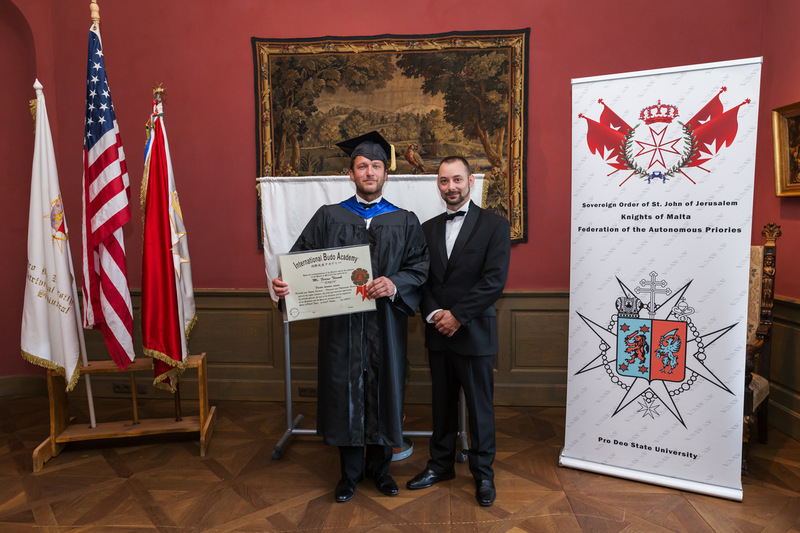 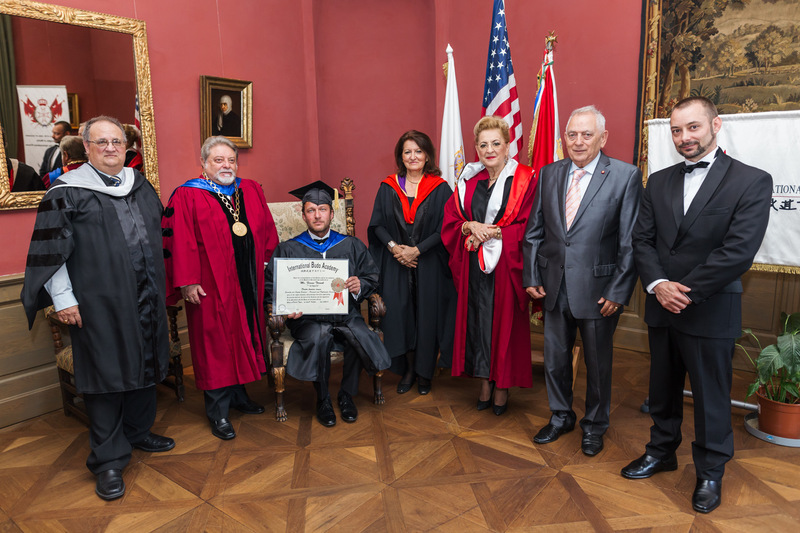 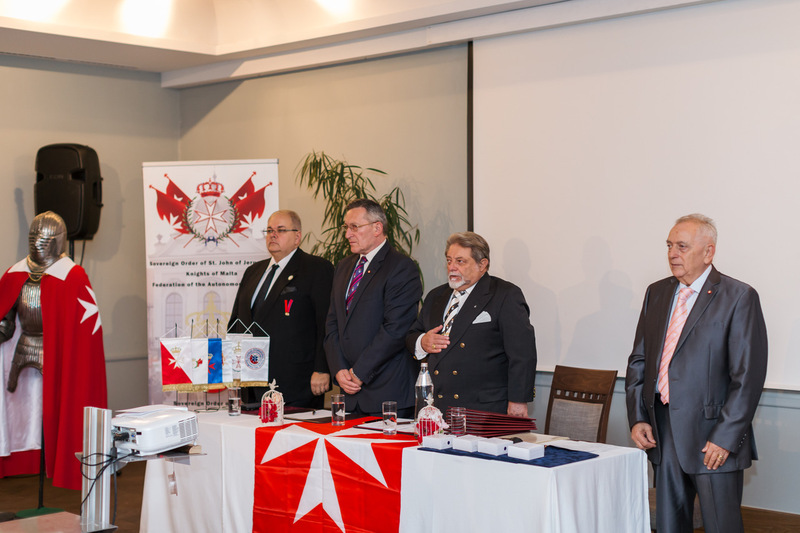 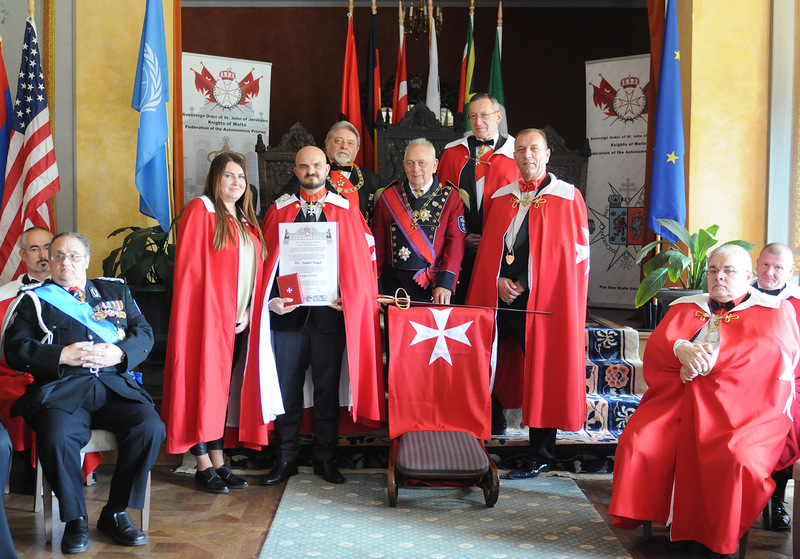 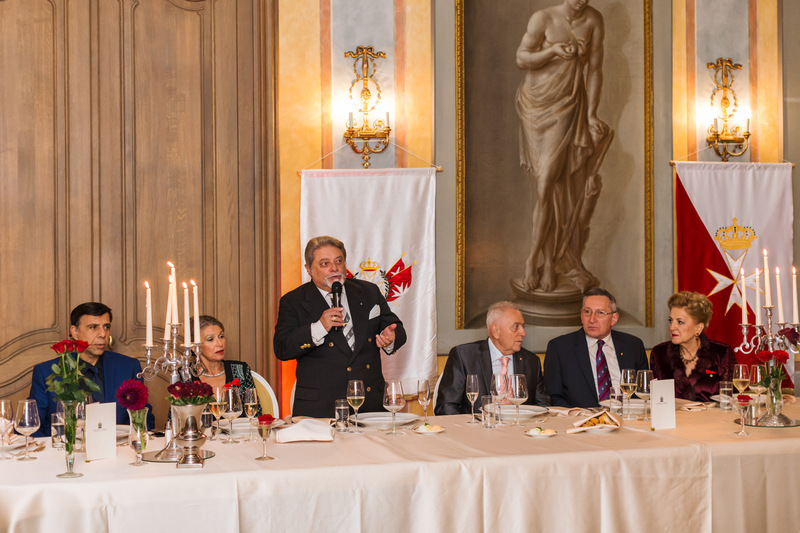 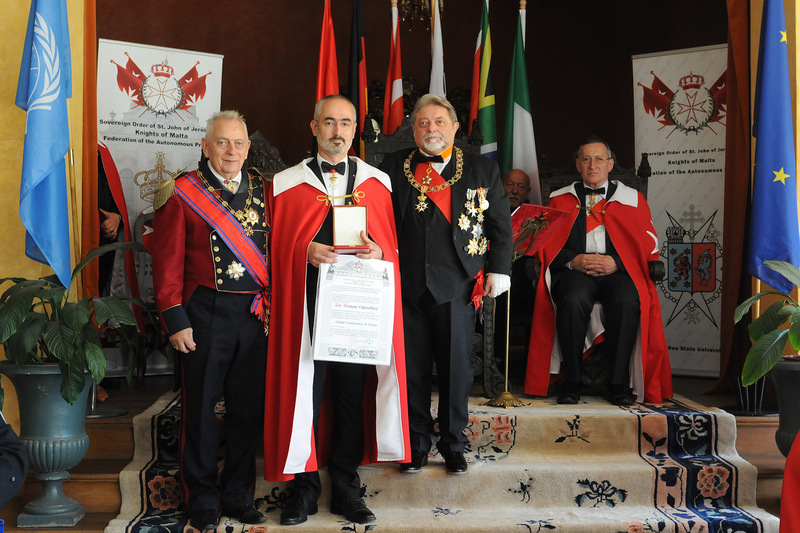 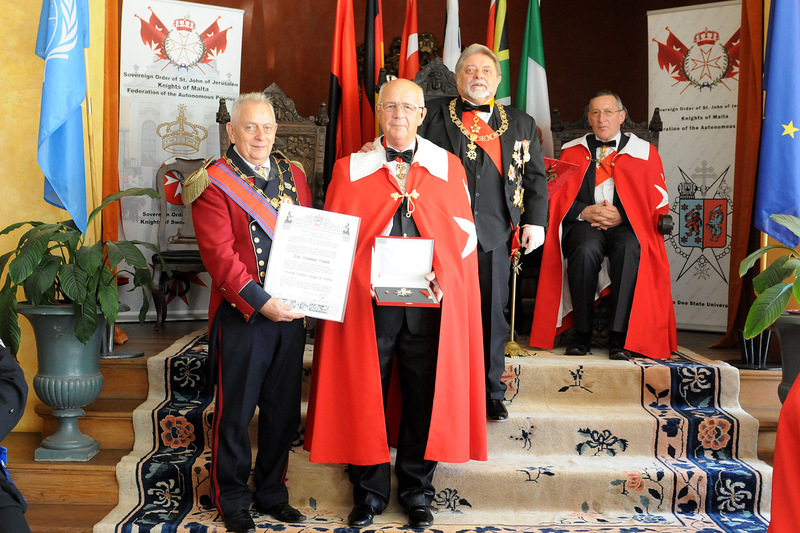 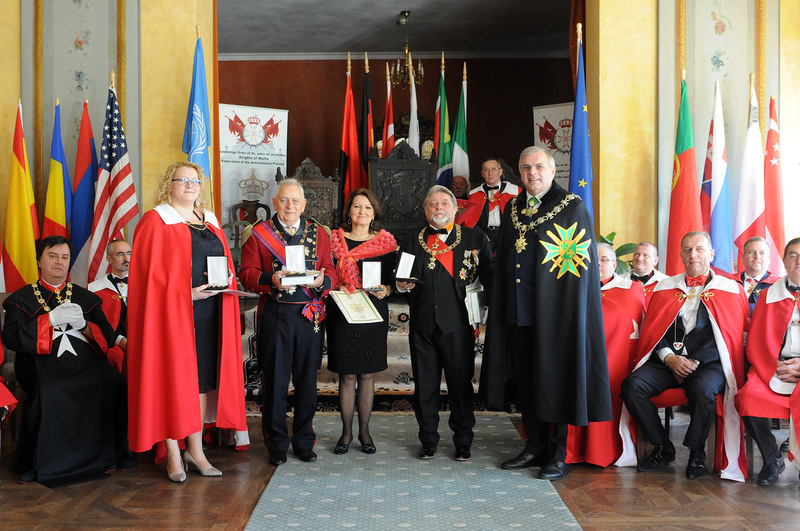 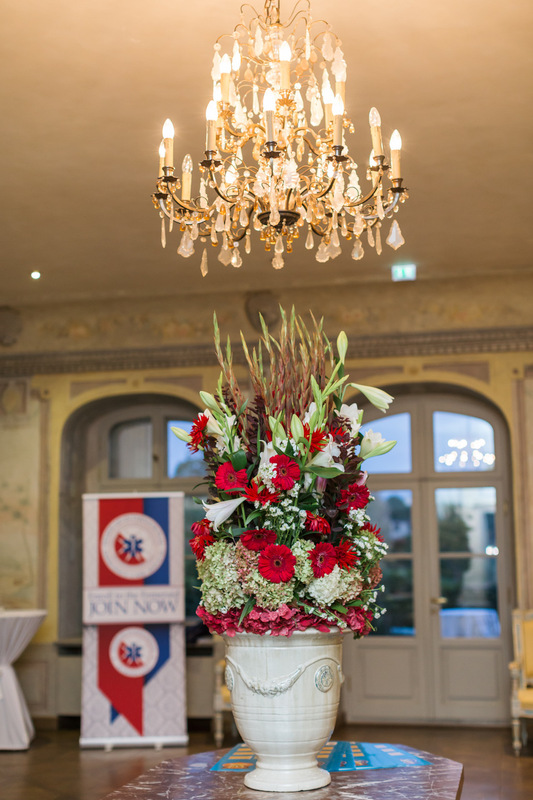 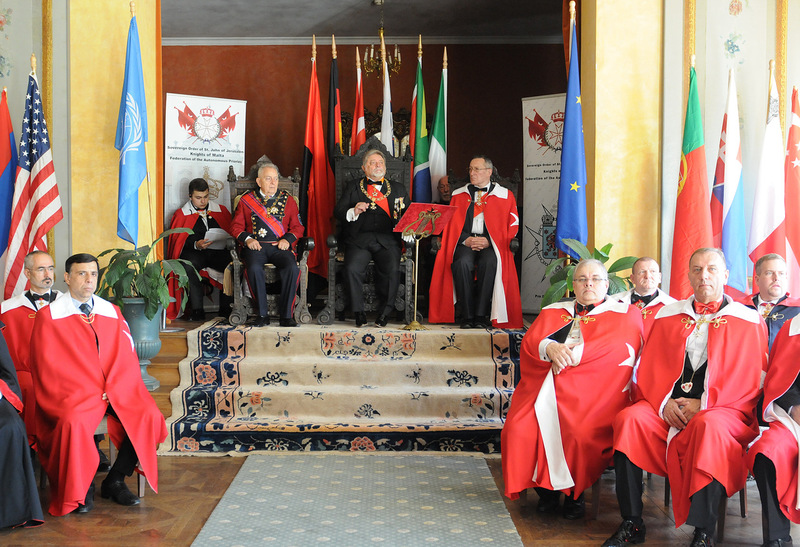 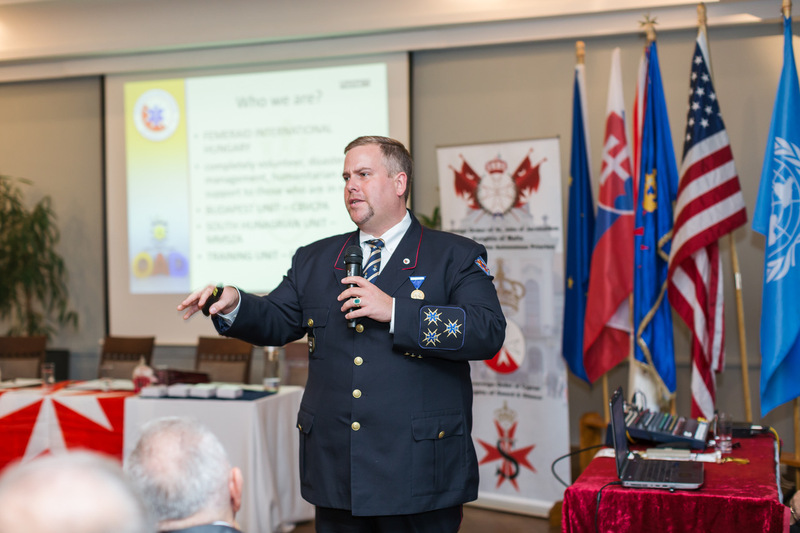 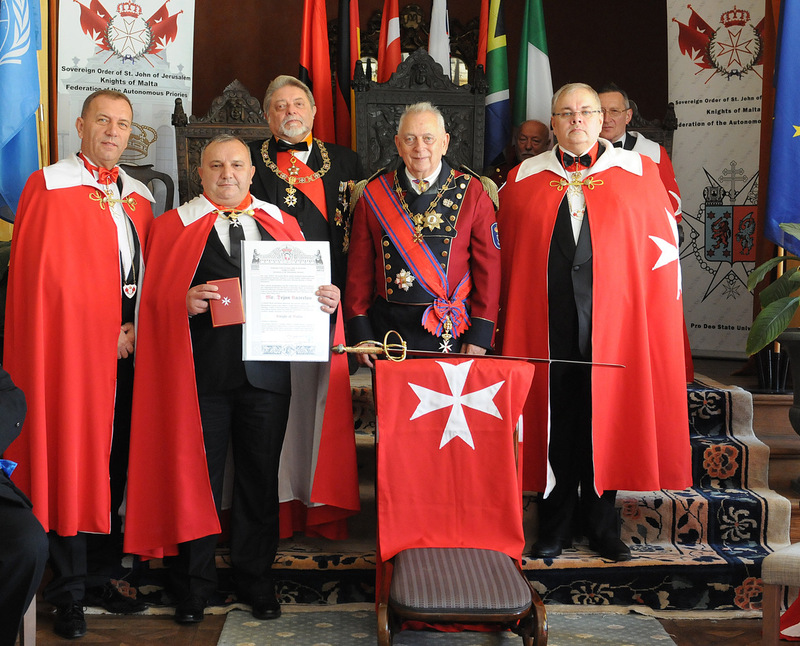 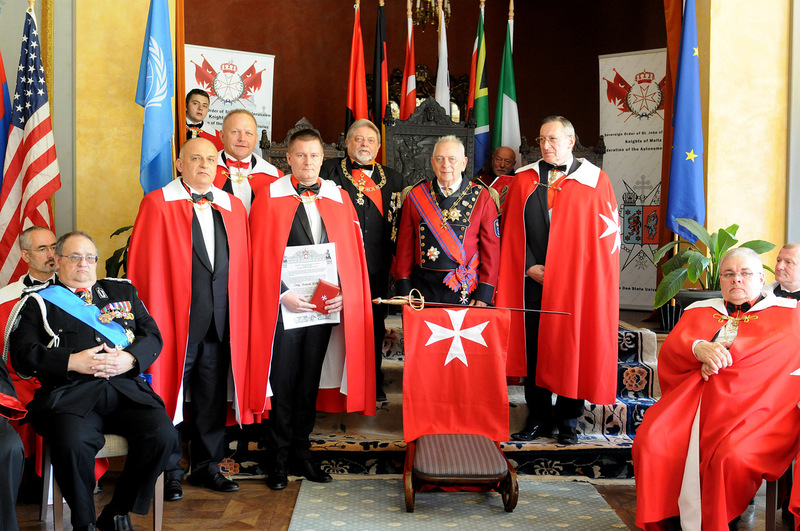 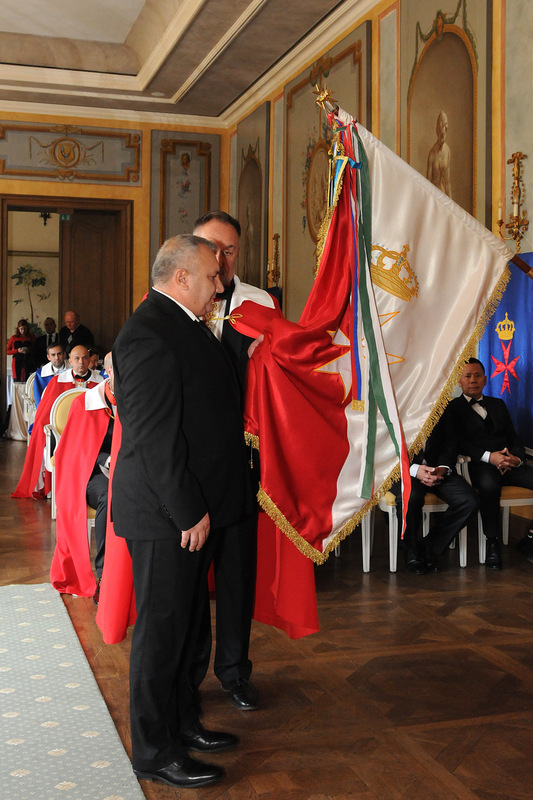 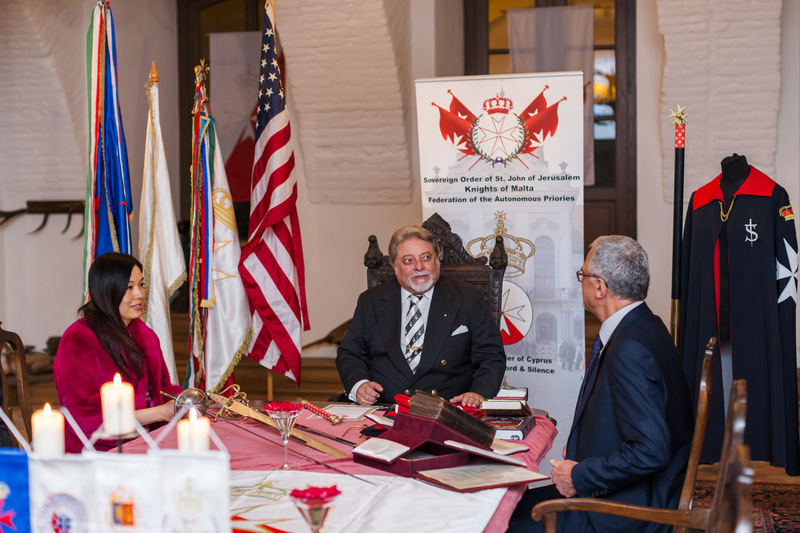 Before starting the official programs of the Knighthood Ceremony, at 15.00 the Doctor Honoris causa ceremony took place in the Gobelin room of the castle, where the candidates of Honorary Doctorate were awarded by the PRO-DEO State University and the International Budo Academy (IBA). 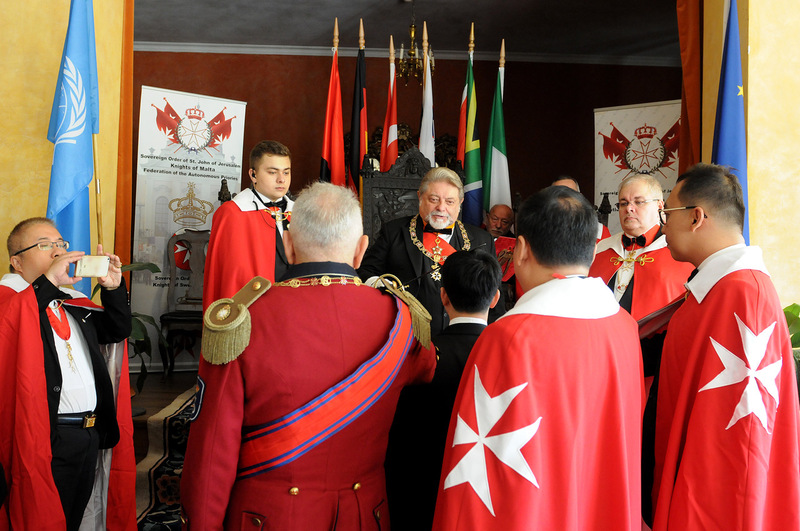 The first day, as always, the Day of Honour was dedicated to the Postulants by the General Chapter of Knights, which event contained: the meeting with the highest leaders of the Order, the presentation of the historic survey and summary about its multifaceted activity focusing on the humanitarian work, introducing the postulants by their godfathers or godmothers, handing over the Postulant Diplomas and the Code of Chivalry. 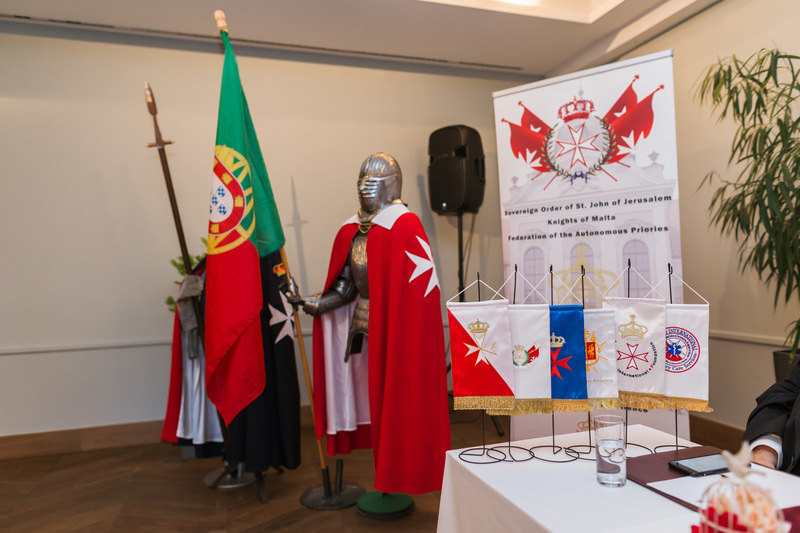 The General Chapter of Knights Meeting was followed by the ancient tradition, inherited from our great predecessors: The Watch of Arms, when the postulants got acquainted with the symbols they will receive, the customs and rules of the knights that they must respect and preserve, by meditating on their future after this important event in their life. 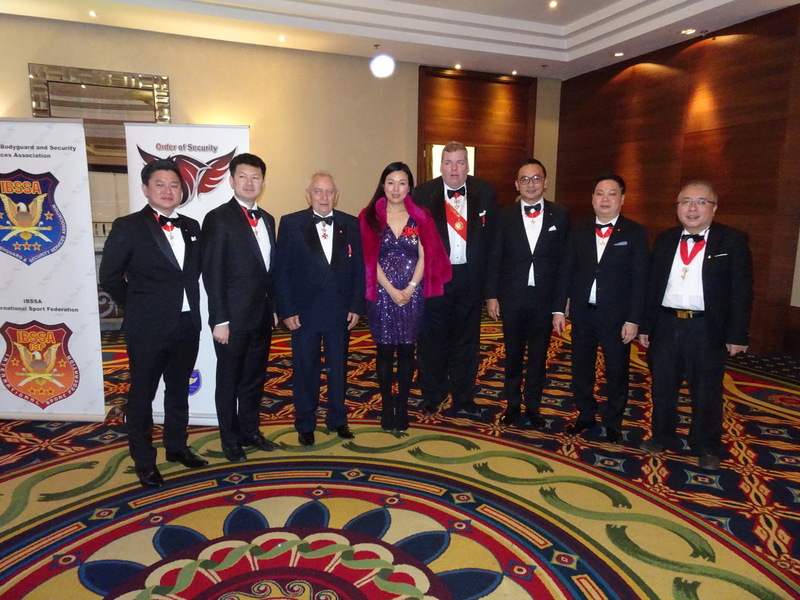 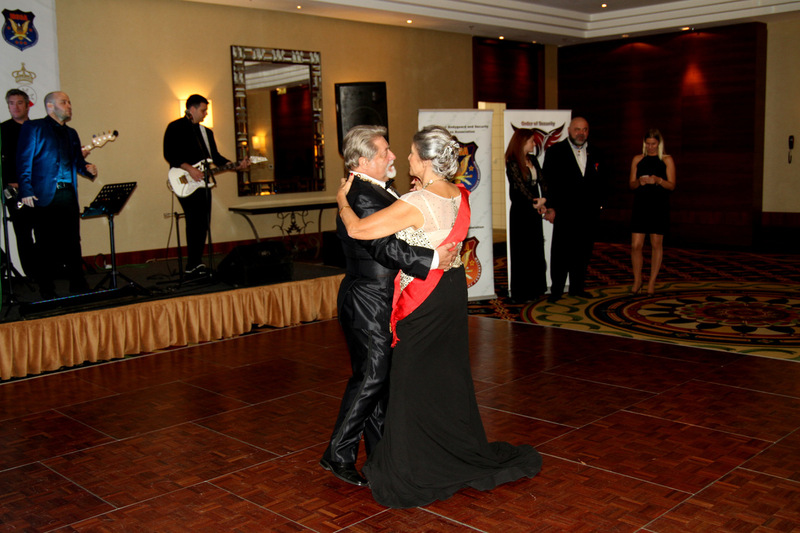 In the evening a celebratory Gala Banquet awaited the attendees with joyful music and dance. 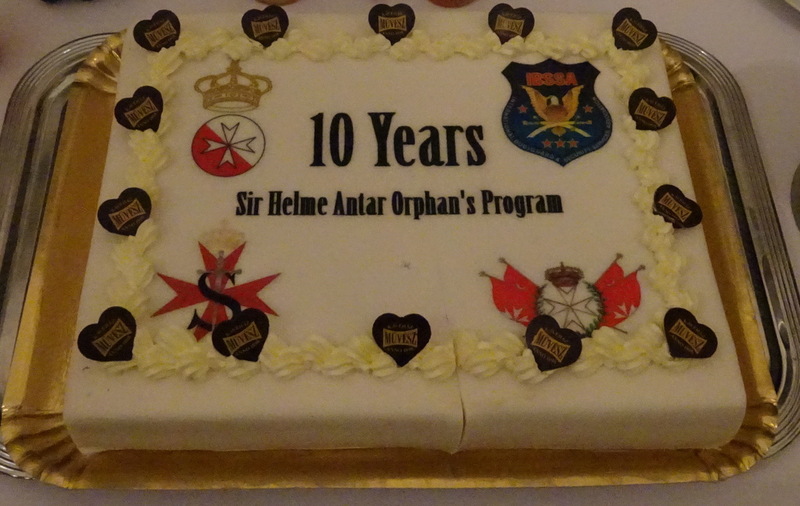 In recognition of the yearly financial support by Sir Helme Antar for helping the studies and education of orphan children a delicious cake was presented and cut in his honour. 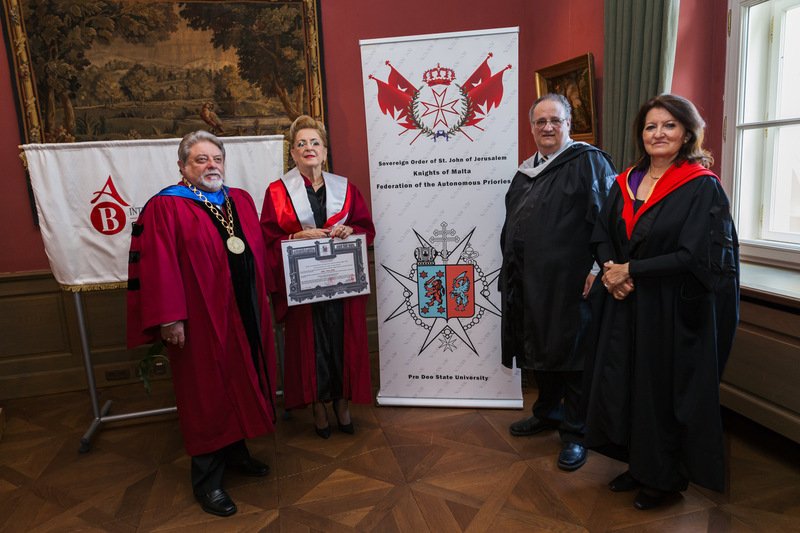 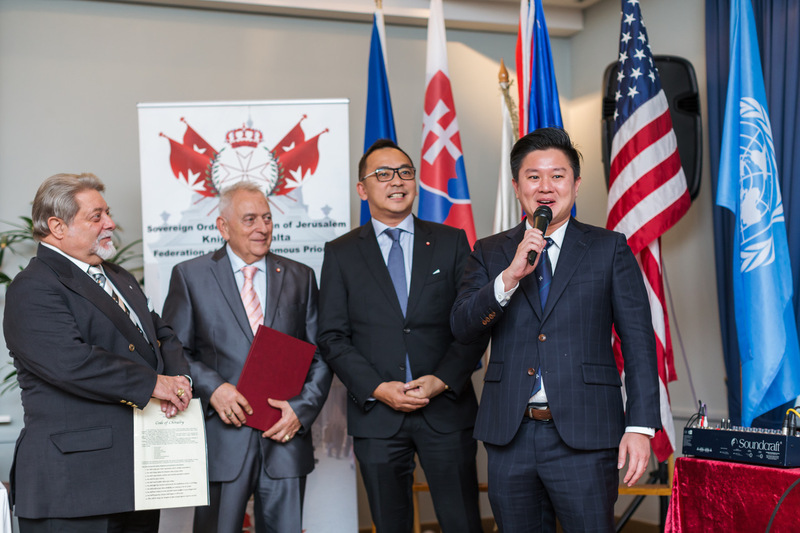 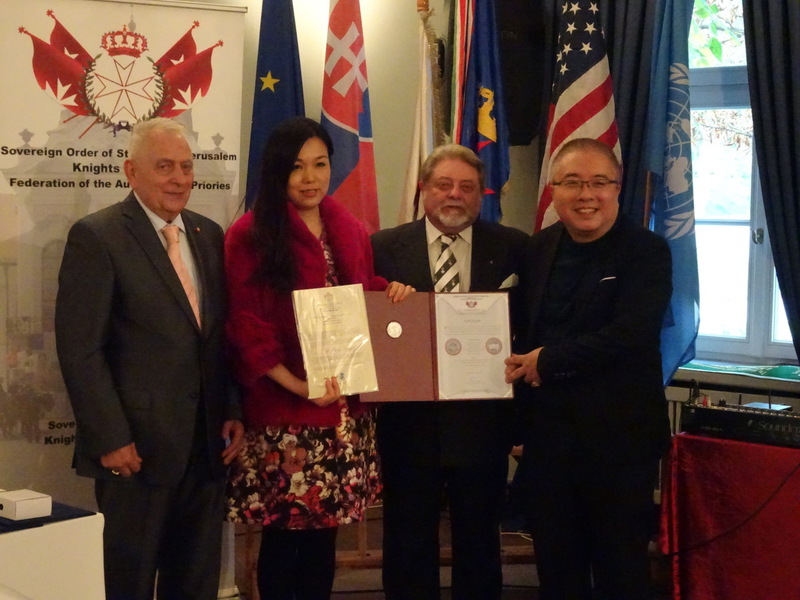 The International Orphan Program of KMFAP, which exists for several years, was officially named after him, expressing by this the gratitude of the Order for his generosity. 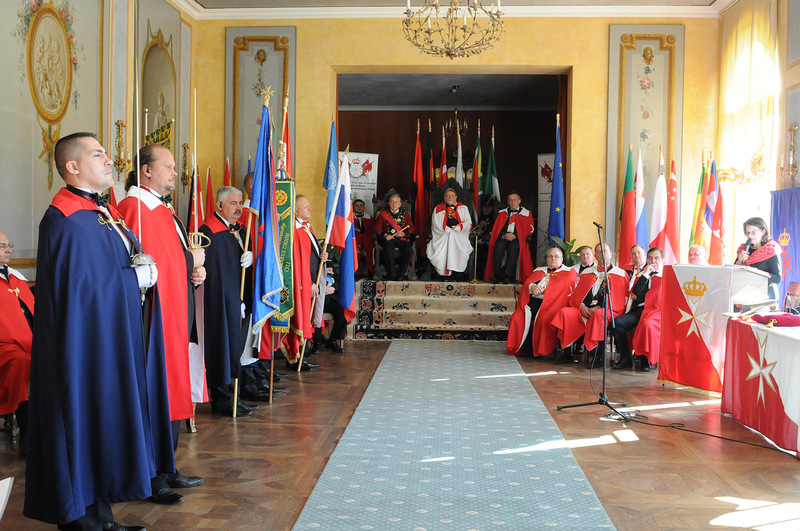 The solemn investiture of the Postulants took place at 11.00 o’clock in the presence of high ranking guests, diplomats, representatives of our friendly orders in the nicely decorated “Orangerie” with the symbols of the Order. 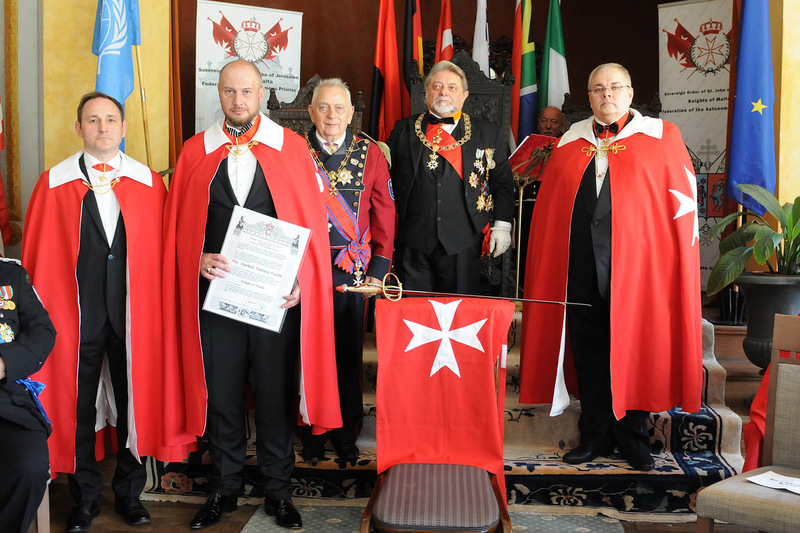 After remembering the knights, who passed away and praying for the health of the Order’s ill members (In Perpetuam Rei Memoriam) we proceeded to the knighthood investiture. 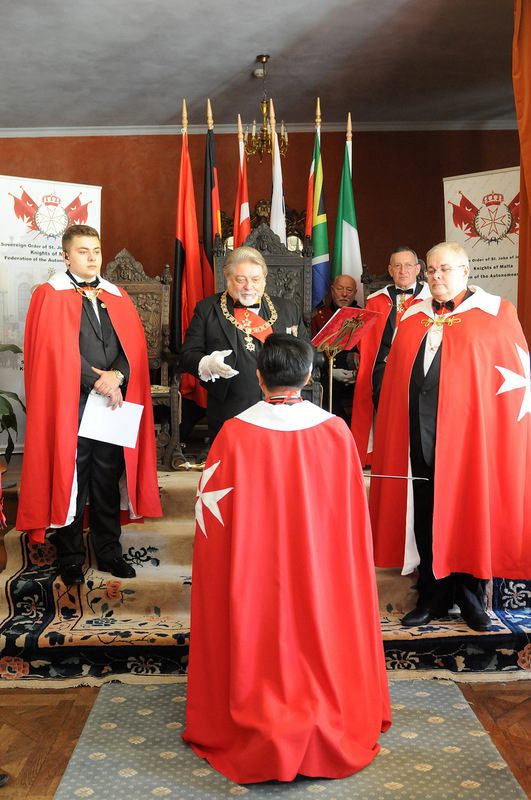 The Blessing of the Insignias of the Order – which were given to the Postulants during their inauguration, and afterwards they can wear – was performed by the members of the Board of Religious Counsellors and Interfaith Pluralism. 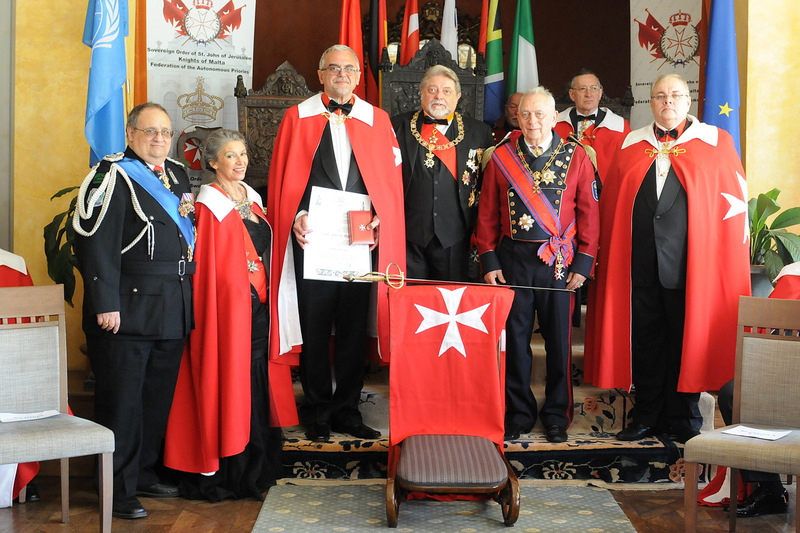 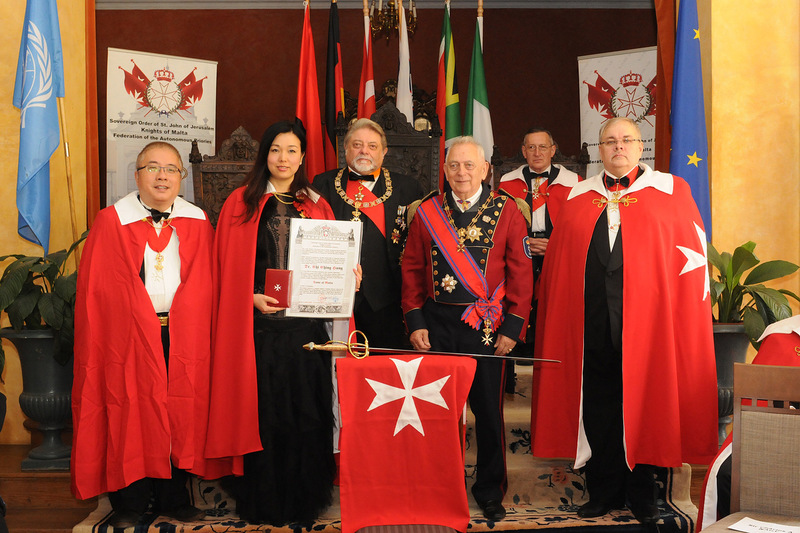 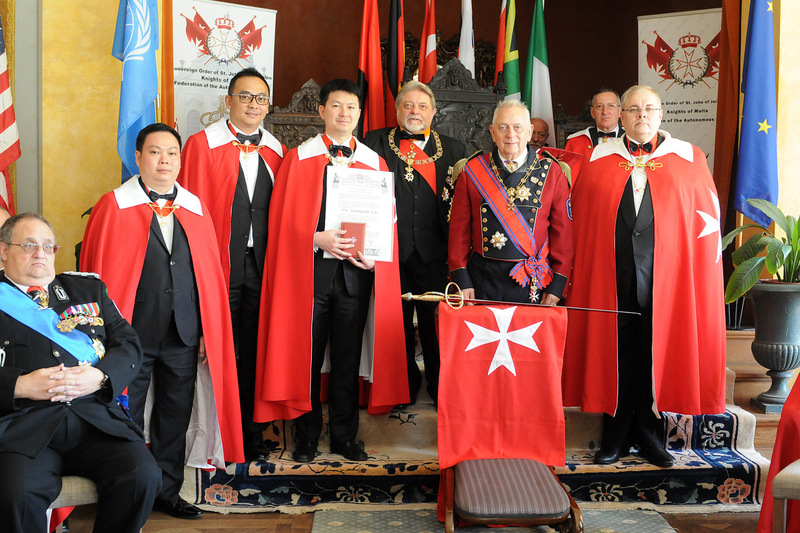 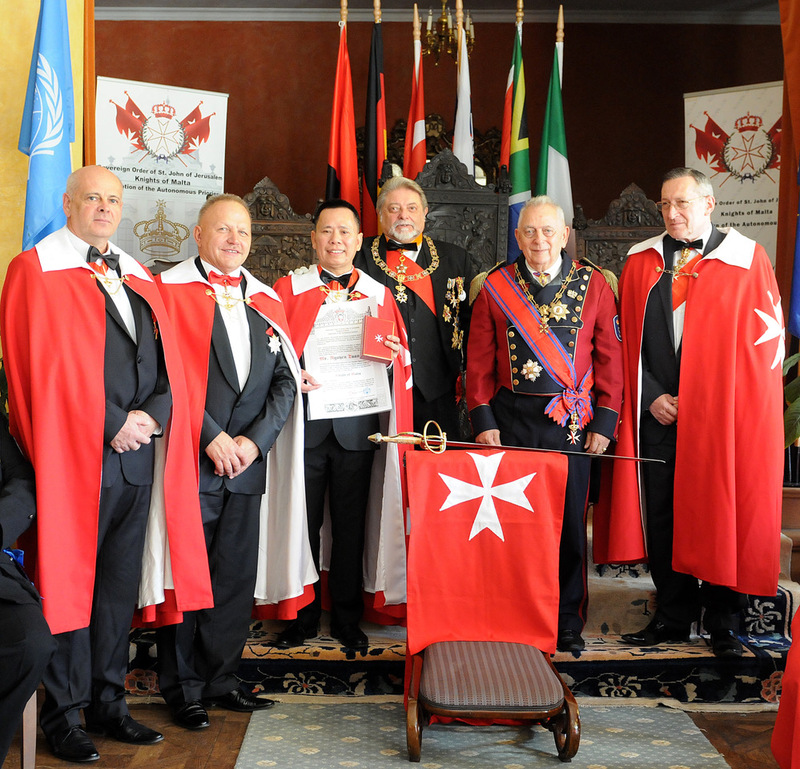 This time nine worthy candidates were admitted to the Knights of Malta from different countries, based on their merits and human qualities, upon the recommendation of 2 Knights or Dames (being Godfathers or Godmothers). 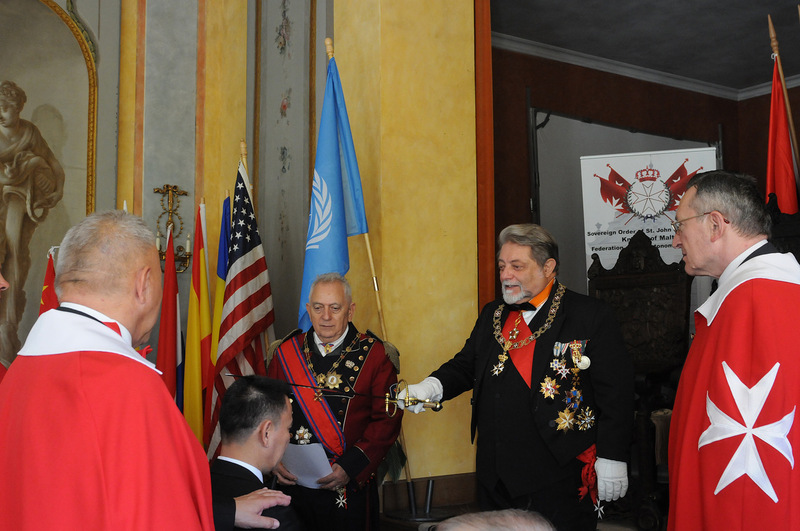 The knighting ceremony was administered by H.M.E.H. 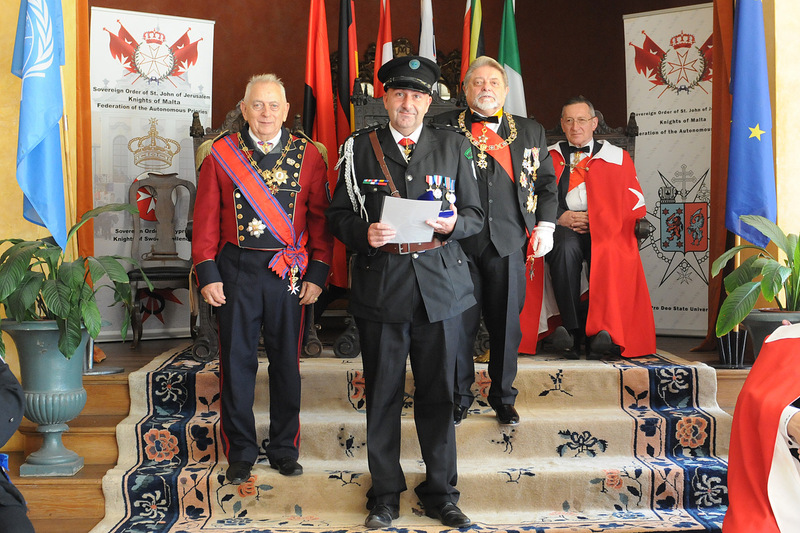 Prince José, the Grand Master of KMFAP and the Lieutenant General, H.G. 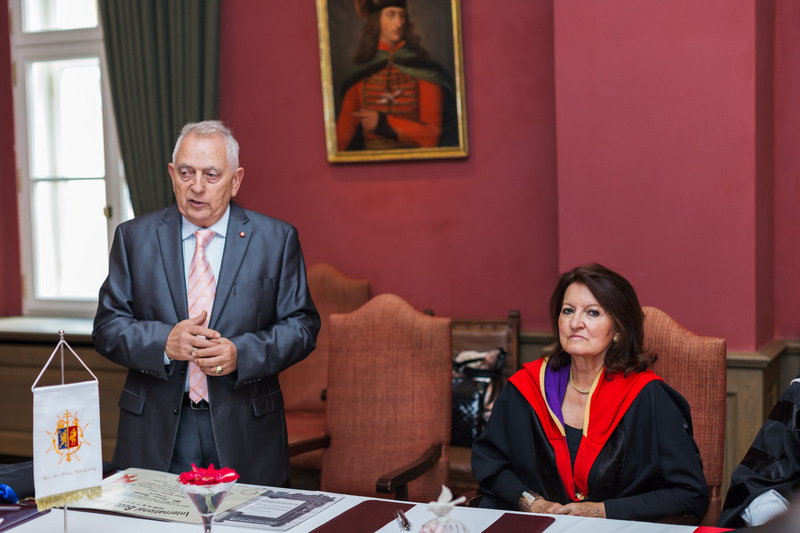 Prof. George Popper. 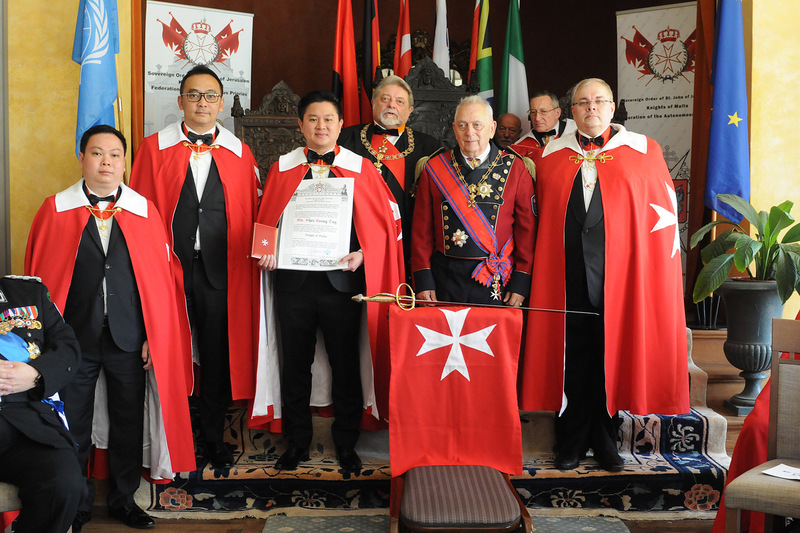 By our traditions, the Grand Master gives incentives to the members who deserve it with their outstanding work for the benefit of the Order and helping the needy, by awards of advancements of ranks. 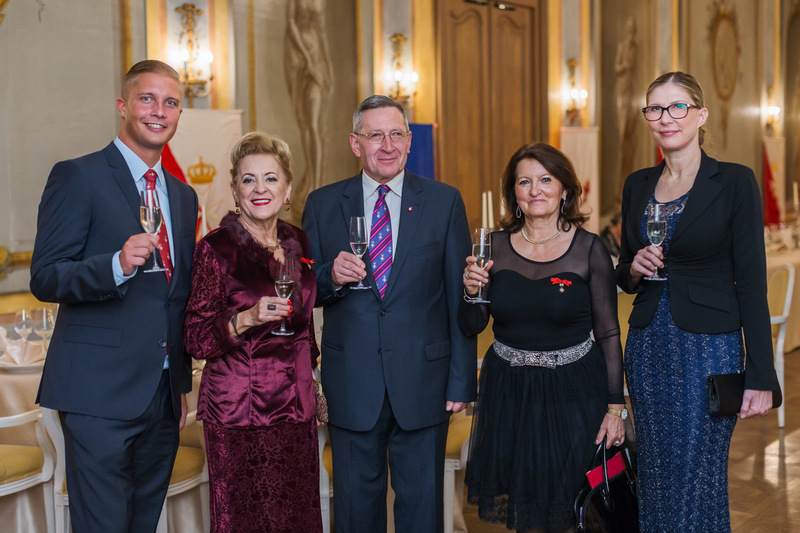 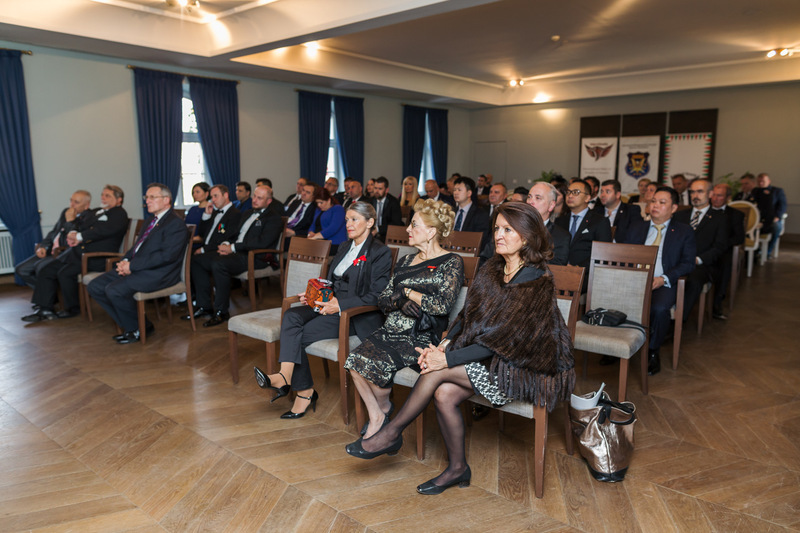 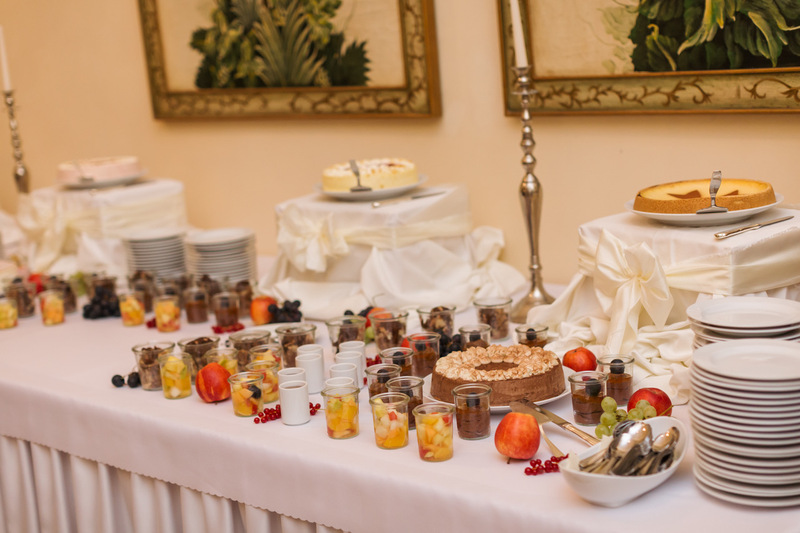 Finishing the ceremony – after the group-photo session and before heading to Budapest, the knights and dames, the investees and the guests were invited for a lunch. 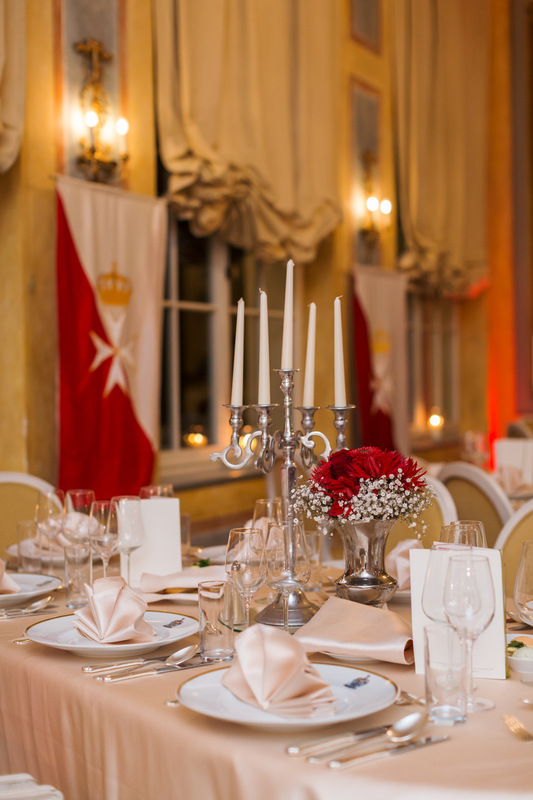 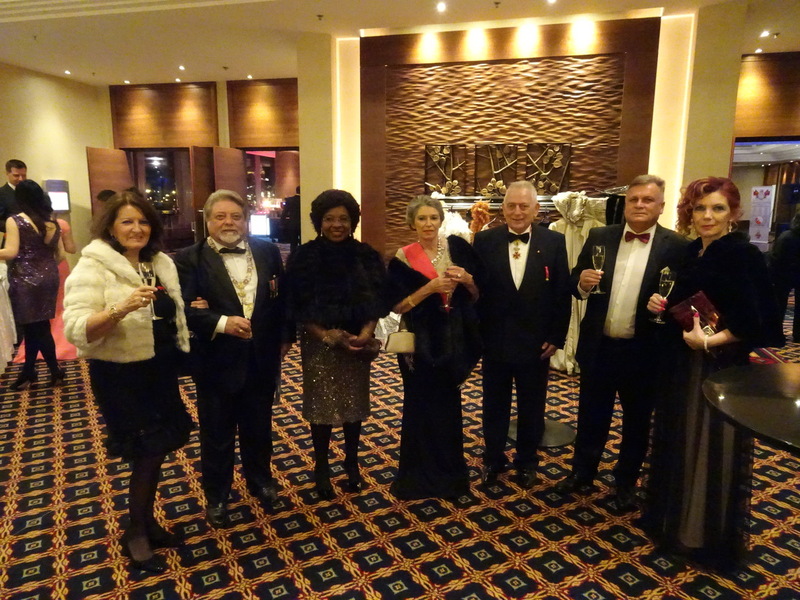 The 2-day event was topped by the 22nd Ball of Knights and Bodyguards at the Ballroom of Hotel Marriott, famous for its breath-taking view on the city of Budapest and the Danube river. 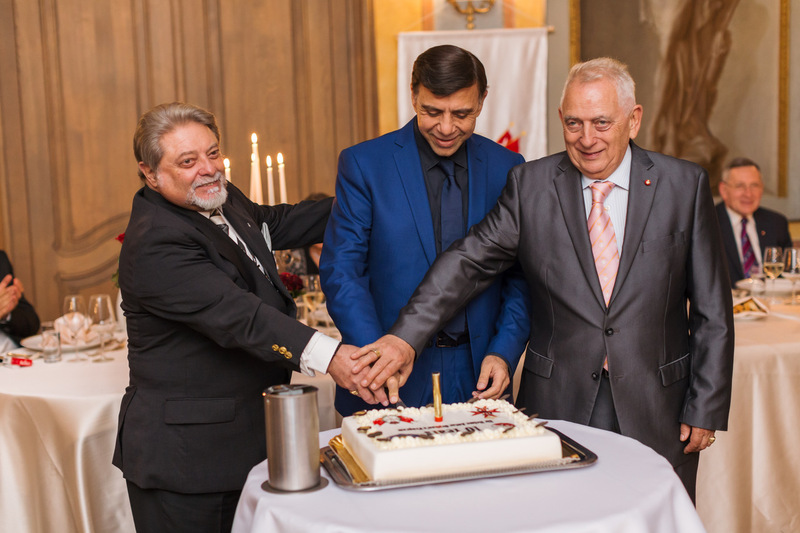 It was a great evening full of music, dancing, fun, artists' performances, dinner and studio photography, leaving a very pleasant emotions and memory in our hearts.